Bathrooms are one of the top ten selling points in any home. Not to mention, it is your own private refuge, your sanctuary away from the activity in the rest of your house. 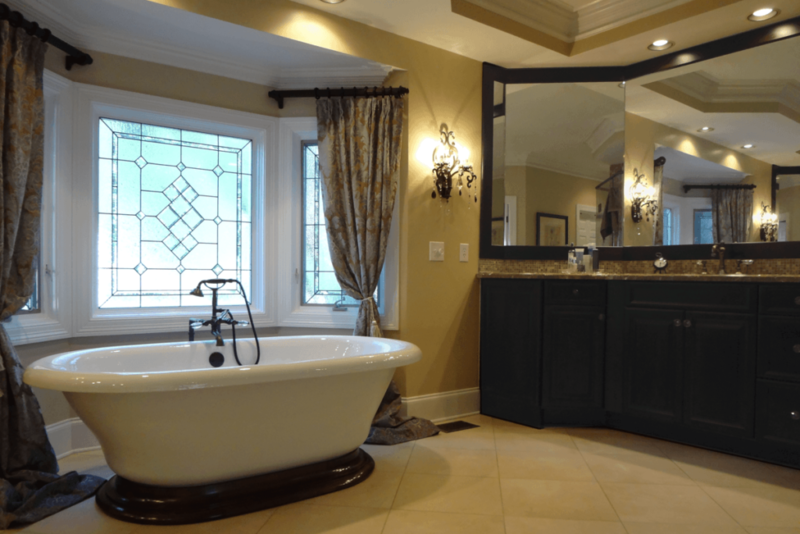 Now is a great time to consider a bathroom renovation in order take your bathroom to the next level while reflecting your personality and who you aspire to be. Heated floors, floor mats or tile are actually an affordable amenity that will save you money in the long run. Research has proven if your feet are warm, the rest of your body will be warm which means gas or electric heat can be set at a lower temperature to save both energy and money. Heated towel warmers are a touch of bliss with a reasonable price tag. There is no better way to start your day than to step out of the shower and wrap up with an evenly warmed towel on a crisp, cool morning. Blue Tooth Shower Head allows you to wirelessly stream music or podcasts from your Computer, iPod, iPad or SmartPhone without the hassle of stowing a speaker dock or bulky audio player in the bathroom. Mood Lighting ensures your bathroom is well lit while also creating an ambience conducive to preparing yourself for the day ahead or unwinding at the end of a long day. The ideal lighting system will illuminate the bathroom with warmth while adding a soft, radiant glow to the room. Mirror with a Television behind it is a space efficient way to conceal your television enabling you to conveniently watch television while seeing your reflection in the mirror at the same time. Accenting the quality of your bathroom with these affordable amenities will enhance your home’s marketability while providing you, the homeowner, with the daily pampering you deserve. You’ll be amazed when improving the smallest room in your home, that your whole house will feel as if it’s been upgraded.